Slap-up meal, fireworks and live music. 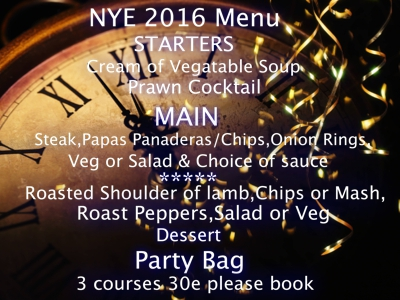 Come and join in the fun this New Years Eve at the Heads n Tails British pub with a special 3 course menu, party bags, fireworks, live entertainment and much more. The dinner menu costs 30 Euros and the night kicks off at 8.30pm. 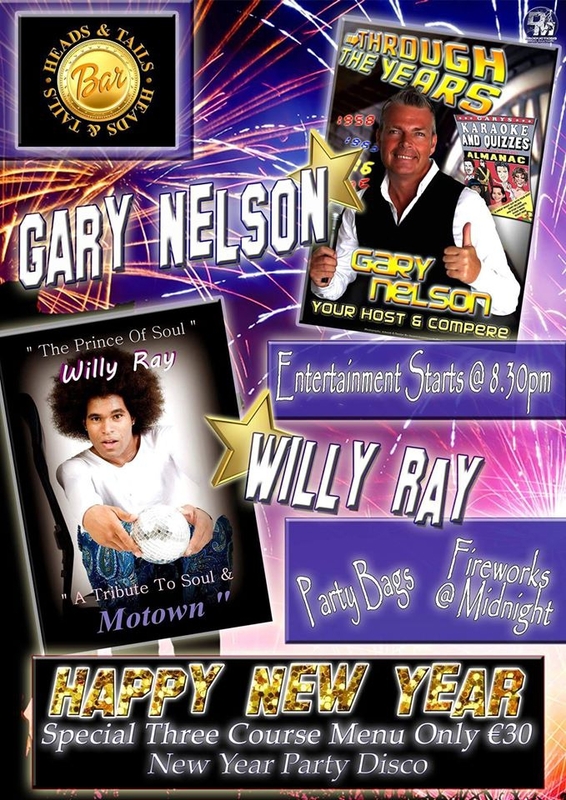 After dinner there will be great entertainment with resident host and compere Gary Nelson and 'The Prince of Soul' Willy Ray, continuing with a New Year party disco and karaoke till late.